Big Brother Gossip: How Tonight's Big Brother 19 Double Eviction and Friday will work. How Tonight's Big Brother 19 Double Eviction and Friday will work. I'm completely cheating here as I am lifting my content from a Big Brother 16 post to explain tonight's Double Eviction. 1. Recaps for 10-12 minutes. 2. Julie will chat with the house guests and we’ll see Matt, Elana and Cody's “save me” speeches. (Extra propz to any of them if they would simply stand up, say “Hi Mom & Dad!”, and sit right back down.) Julie will also mention, to feigned surprise, that it’s a double eviction night. 3. 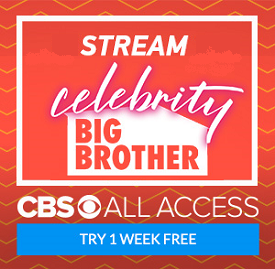 Unanimous eviction vote (yawn) and Julie’s interview with Cody by about 25 minutes after the hour. 5. Strategizing for a couple of minutes, and then nominations. 7. Strategizing again, veto meeting, and potential replacement nomination. 8. “Save me” speeches, the second elimination vote, and Julie’s second interview of the night. And then Julie signs off. Feeds will then remain off until 9pm Pacific on Friday (12am ET Saturday) and when they return we should have a new HoH and two nominees. Last year the feeds returned about 4am Pacific so I personally am quite annoyed that we are being kept in the 'dark' for an additional 20 hours since everything that happens on Friday after the HoH will be condensed into snippets on Sunday's show. As always we will have our LIVE podcast on Saturday so tune in then to hear about everything that happened on Friday and Saturday and anything that went on earlier in the week that CBS didn't cover that we feel is worth mentioning. You can find out more about the Big Brother Gossip Show at www.bigbrotherpodcast.com. Thank you for the info. Im ticked too. Why we have to wait till tomorrow evenings show!! Makes no sense..